Beccles Free School: Consultation Chair Rob Cawley to apply for Principal's job? The thing is that it would be very unlikely that anyone would be available to start earlier as that would mean them not currently working as a teacher. However when questioned about this the Seckford Foundation appeared remarkably relaxed for an organisation about to open two schools with no senior staff member available to lead the process. This led some to suggest that a current member of staff at Woodbridge School might be "lined up" for the job. However another possibility has emerged as there is someone currently not working as a Headteacher who might have just the experience that Seckford are looking for. It is clear that is is how he was introduced to the meeting from another eye witness account available on Wikisuffolk. In fact Cambridge Education are project managers working for the Seckford Foundation but paid for by the DfE and and employed Rob Cawley, a former Suffolk headteacher who works for another consultancy Leading Schools to lead consultation meetings. Cambridge Education project managed the Norwich Free School. 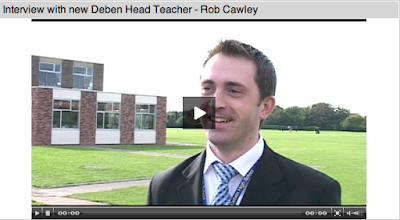 We would have been delighted if Mr Cawley would have accepted the post but he has chosen not to be part of the academy. This is a very private matter for Mr Cawley. It is his choice not to stay and I cannot discuss it. 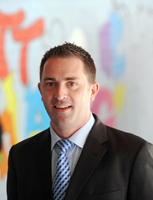 It was widely understood at the time that Cawley did not want to work for an academy chain and since that time he has been working for educational consultancy Leading Schools as a Senior Associate. Felixtowe is a town of around 30,000 is considerably larger than Beccles and what is curious is that during his time there Rob Cawley was advancing exactly the opposite policy that the Seckford Foundation are in Beccles. He was proposing that in a town three times the size that the two high schools were merged together to form "one school". 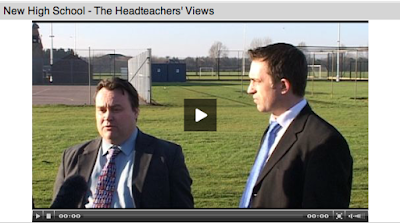 In fact you can see two videos of Rob Cawley on Felixstowe TV talking with great passion about these plans and also re-assuring parents that the size of the proposed school was not an issue comparing it to Farlingaye High in Woodbridge and also explaining that a "school within a school" system would make it seem smaller for the children. Seckford have constantly stated the small size of their proposed schools as a major advantage and that the Ixworth Free School proposers have constantly complained that Thurston Community College will be "too big" despite operating almost exactly the same school within a school (House) system advanced by Cawley. I asked Rob Cawley if he would rule out his application or comment on the contents of this post but he did not reply despite a number of requests. If Cawley does apply it will raise even further questions about the impartiality of the consultation process and I think questions will be asked about how aligned the visions of Cawley and Seckford are.